Stephen Hamilton, is Minister of Music Emeritus at Church of the Holy Trinity (Episcopal), New York City. Program TBA. James David Christie, Professor of Music at the Oberlin Conservatory of Music, Oberlin, OH, Distinguished Artist in Residence at the College of the Holy Cross, Worcester, MA, and organist of the Boston Symphony Orchestra performs the dedication of our Opus 19 in the Church of the Covenant in Cleveland, Ohio. The day begins with the 10 am service with period instruments and organ, followed by a forum at 11:30 lead by Jonathan Moyer, music director and organist of the church. Bálint Karosi, Hungarian organist, is an extremely versatile musician as a composer, harpsichordist, clarinetist, improviser and an organist who has made a specialty of historic performance practice. Bálint studied at the Liszt Academy in Budapest, at the Conservatoire Superieure de Genève and at the Oberlin Conservatory, earning two Master’s degrees, two Prix de Virtuosité and both an Artist Diploma and a Master of Music in Historical Performance. He has won many prizes at prestigious international competitions including the 1st Prize of the XVI International Johann Sebastian Bach Competition in Leipzig, Germany, 1st prize and the audience prize at the Dublin International Organ Competition, the 1st prize at the Arthur Poister Organ Competition, the 1st and audience prize of the Miami International Organ Competition, and the 2009 Prima Primissima Juior Prize for Music, a recommendation-based cash prize for the most distinguished artists in Hungary. The Roden Boys Choir and Sietze de Vries The Roden Boys Choir was founded in 1985 in the small town of Roden in the north of the Netherlands by choirmaster Bouwe Dijkstra. His main aim was to form a boys choir in the English style, featuring English choral music in its broadest sense. The choir is renowned for its consistently English choral style, not only in terms of its size and vocal range, but also in the attention it gives to the vocal quality of individual boys and young men. The choir employs, in every respect, the musical approach that has led to the high standards for which English boys choirs are so famous. Today, the choir is directed by Rintje te Wies who also directs Martini Boys Choir Sneek. Suggested donation £5.00. Peter Planyavsky, student of Anton Heiller and formerly organist and music director of St Stephan’s Cathedral, Vienna plays music of Tunder, Hindemith and Boëly, and an improvisation by Mr. Planyavsky. Suggested donation $15, a reception follows the program. Bach’s 328th Birthday The Boston chapter of the American Guild of Organists, First Lutheran Church, and WGBH Classical New England present Bach Around the Clock. 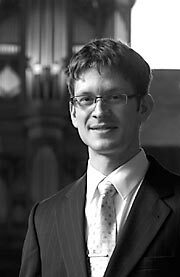 Organ recitalists include David Arcus who plays our Opus 16 at Duke University, Bálint Karosi, First Lutheran and Yale University, Dexter Kennedy, Jacob Street, and others. The full concert schedule will be posted on Classical New England WGBH and the concerts will be webcast live. Luc Beauséjour, Canadian harpsichordist and organist, holds a Doctorate from the Université de Montréal. He studied harpsichord with Mireille Lagacé and organ with Bernard Lagacé. He also trained in Europe under Ton Koopman and Kenneth Gilbert. First Prize winner of the 1985 Erwin Bodky International Harpischord Competition in Boston, he has also won prizes at several other competitions and received a number of grants from the Canada Council and the Conseil des arts et des lettres du Québec. Christopher Houlihan is a graduate of Trinity College in Connecticut where he studied with John Rose, his organ teacher from the age of twelve. He did his graduate degree work at The Juilliard School in New York where he studied with Paul Jacobs. He earned the “Prix de Perfectionnement” (equivalent to a university artist’s diploma in the US) from the French National Regional Conservatory in Versailles, and while in France served as assistant musician at the American Cathedral in Paris. He will play works by Bach and Vierne. Reformation Celebration Service begins with an organ prelude at 3:30 pm. The worship service music consists of Bach’s Reformation Cantata No. 80 “Ein Feste Burg ist Unser Gott” performed by the FLC Choir and members of Exsultemus Period Vocal ensemble and a group of period instruments. The service is free and open to the public and a reception follows. Dedication concert played by James O’Donnell, Organist and Master of the Choristers of Westminster Abbey. Balint Karosi, Director of Music at First Lutheran Church joins with the choirs of St. Luke’s Lutheran Church of Dedham and Mt. Calvary Lutheran Church of Acton for a free Hymn Festival. 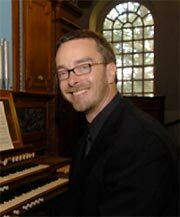 Mark Trautman, Director of Music at St. Paul’s Church in Englewood, NJ and former Director of Music at Christ Church returns in recital to continue the celebration of the 10th anniversary of the organ. The program includes the Fantasy and Fugue in c minor of Bach, and Mendelssohn Sonata 1. Pamela Ruiter-Feenstra Church of the Transfiguration proudly presents the Dallas premiere of concert organist Pamela Ruiter-Feenstra. Dr. Ruiter-Feenstra has been very active in the study of historical organ building practices and has participated on international panels in both Europe and the USA. Her program, Bach, Before and Beyond, will include works by German composers Böhm, J. S. Bach, Homilius, Mendelssohn, Brahms and Hindemith. She will also treat us to improvisations in historic styles based on hymn tunes. Come prepared to listen and to sing! Her recordings are featured on the Loft/Gothic label, and volume 1 of her new book Bach and the Art of Improvisation and Improvisation Encounters is now available from Amazon.com. Christa Rakich , a prize-winner at international organ competitions, has received particular acclaim for her interpretations of the music of J.S. Bach. A concert and recording artist, she currently directs the music program at St. Mark the Evangelist Church in West Hartford, CT.
Ms. Rakich will play compositions by Böhm, J. S. Bach, Chadwick, Rakich, and Woodman. Stephen Hamilton, Minister of Music Emeritus at Church of the Holy Trinity (Episcopal), New York City, will perform Bach, Bach and more Bach as well as music by Handel, Mendelssohn, and Alain. Suggested donation $15. Stephen Hamilton, Minister of Music Emeritus at Church of the Holy Trinity (Episcopal), New York City, will perform music of Lidón, Pasquini, Valente, Böhm, Bach, Alain, Franck, and Ginastera. Michael Dulac is Director of Music and Liturgy at the Cathedral of the Immaculate Conception in Fort Wayne, Indiana and held similar positions in Lansing, Michigan, and Springfield, Mass. Dulac will present works by C.P.E. Bach, J.S. Bach, Demessieux, Sark, and Scheidt. Laszlo Fassang, international concert and recording artist and Chair of the Organ Department at the Liszt Academy in Budapest, plays a program titled From Bach to Liszt comprised of pieces by the two influential composers and improvisations. Tickets are $15 for general admission and $10 for students and seniors. 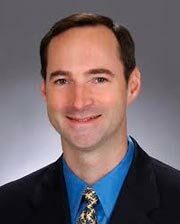 Reformation Celebration Service begins with an organ prelude by Dr. Andrew Shenton at 3:30 p.m. Dr. Shenton performs the FLC organ for the first time, his program consists of rarely-performed masterpieces that promises an unusual and exciting new way of using the Richards, Fowkes & Co. organ. Exsultemus and Rachel Toltzmann vocalist will join the FLC Choir for a cappella masterworks by Hans Leo Hassler, J. S. Bach and Michael Praetorius for the service. The service is free and open to the public. Craig Cramer, Professor of Organ at the University of Notre Dame, Notre Dame, IN plays at Westminster Presbyterian Church in Knoxville, TN. James David Christie, Professor of Music at the Oberlin Conservatory of Music, Oberlin, OH, Distinguished Artist in Residence at the College of the Holy Cross, Worcester, MA, and organist of the Boston Symphony Orchestra returns to Transfiguration to perform works by Poulenc, Piston, and Pinkham for organ and string orchestra on this season finale. 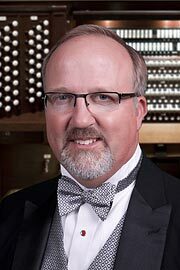 Stephen Rapp has been Director of Music at St. John’s Lutheran Church since 1992 and oversaw the construction and installation of our Opus 5 in 1995. He holds a Bachelors Degree of Music and Performer’s Certificate from the Eastman School of Music, and a Masters Degree of Music and Doctorate of Music from Yale University. Suggested donation $15, reception follows. 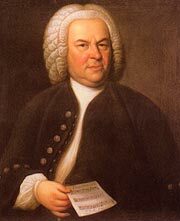 Bach’s 326th Birthday Collaborating once again with the Boston chapter of the American Guild of Organists, Emmanuel Music and Windsor Music, First Lutheran Church opens its doors to visitors who would not likely otherwise visit. Former FLC Artist-in-Residence William Porter will lead an “intimate tour” of the organ’s inner workings for families at 10.30 a.m. Lunch will follow, and the day continues until early evening with half-hour concerts by Porter, Christa Rakich, and members of the Boston AGO. Bálint Karosi and the early music ensemble Exsultemus, FLC’s current Artist in Residence, will conclude the day with Bach's Cantata BWV 35 Geist und Seele wird verwirret for solo organ with period instruments. Christopher Houlihan is one of the brightest stars in the new generation of American organists and is booked to perform from coast to coast in his debut season under professional representation. Christopher is a graduate of Trinity College in Connecticut where he studied with John Rose, his organ teacher from the age of 12. Mr. Houlihan, a recipient of many scholarship awards, is currently a graduate student at Juilliard School in New York. He will play works by Sweelinck, Bach, Mozart, Mendelssohn and Vierne. Bálint Karosi, organist and music director at First Lutheran Church in Boston (our Opus 10) comes to Chattanooga to play a program on our only local organ where Bruce’s wife, Karla, is organist and music director. Bálint Karosi The Hungarian organist Bálint Karosi is an extremely versatile musician as a composer, harpsichordist, clarinetist, improviser and an organist who has made a specialty of historic performance practice. Bálint studied at the Liszt Academy in Budapest, at the Conservatoire Superieure de Genève and at the Oberlin Conservatory, earning two Master’s degrees, two Prix de Virtuosité and both an Artist Diploma and a Master of Music in Historical Performance. He has won many prizes at prestigious international competitions including the 1st Prize of the XVI International Johann Sebastian Bach Competition in Leipzig, Germany, 1st prize and the audience prize at the Dublin International Organ Competition, the 1st prize at the Arthur Poister Organ Competition, the 1st and audience prize of the Miami International Organ Competition, and the 2009 Prima Primissima Juior Prize for Music, a recommendation-based cash prize for the most distinguished artists in Hungary. Tickets	$10/5. 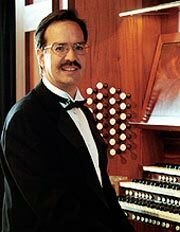 Charles Boyd Tompkins, University Organist and Professor of Organ at Furman University, and organist at First Baptist Church in Greenville, SC plays at Westminster Presbyterian Church in Knoxville, TN. Duruflé Requiem Guest organist Annette Albrecht joins the Transfiguration Choir in a Requiem Mass for All Faithful Departed. 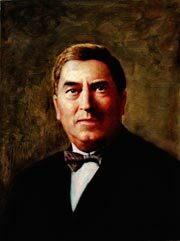 Maurice Duruflé’s beloved Requiem, Op. 9, will be sung in the context of a solemn Eucharist. 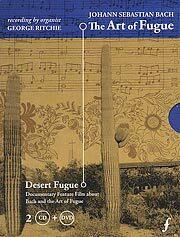 Desert Fugue Film: Desert Fugue, plus live performances of excerpts from Bach’s The Art of Fugue by Karla Fowkes, Peter Van Eenam, and John Brock. Bálint Karosi plays the official dedication of the organ’s 3 new stops at First Lutheran Church’s Reformation Celebration Service. The prelude will begin at 3:30. The service is free and open to the public. Peter Krasinski, world renowned improviser and silent-movie organist presents a special program—Principal Peter—that will give families the opportunity for children and adults to hear all of the individual pipes, illustrated in the guise of a fairy tale. Family reception and games follow. Both events are free and open to the public. Organ and Brass The five members of Imperial Brass join Joel Martinson, organist, and timpani in a sonic spectacular, including Los Angeles composer Craig Phillips’ Suite for Organ, Brass Quintet and Percussion. Works by Gigout (Grand Choeur Dialogue), Gabrieli and others will exploit the tonal possibilities of the instruments, as well as the acoustical resources of the church. Peter Sykes plays Samuel Barber's Toccata Festiva with the Southern Adventist University orchestra. Heinrich Christensen, organ, Jodi Hagen, violin Mr. Christensen, a native of Denmark and a prizewinner at international organ competitions, has given recitals in Denmark, Sweden, Germany, France, Ireland, South Africa, Japan, Canada, and the United States. Presently organist and Music Director at King’s Chapel in Boston, he has his own concert series, directs a fully professional choir, and is a recording artist. Jodi Hagen, a free-lance violinist in Boston, performs with many orchestras, including the Boston Lyric Opera, the Boston Pops, and the Boston Ballet Orchestra. She has recorded for Koch International and Nonesuch and will assist Mr. Christensen in presenting Vivaldi’s Four Seasons. John Grew, University Organist at McGill University and chair of the organ area of the Faculty of Music, is artistic director of the McGill Summer Organ Academy. He also established McGill’s Early Music program, the largest of its kind in Canada. He was Dean of the Faculty of Music at McGill from 1991 to 1996. He is cosponsored by the Knoxville Chapter of the American Guild of Organists. Ludger Lohmann, University Organist and Professor of Organ, Stuttgart University, Stuttgart, Germany, displays his artistry in a program highlighting music of the German Romantics. The program includes the Buxtehude Toccata in d (BuxWV 155), the J. S. Bach Sonata No.5, Prelude and Fugue in D major, the final fugue from The Art of the Fugue, and five of the Six Fugues on BACH by Robert Schumann. 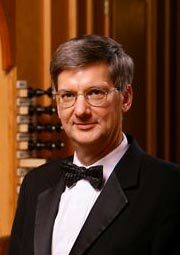 James David Christie, Professor of Music at the Oberlin Conservatory of Music, Oberlin, OH, Distinguished Artist in Residence at the College of the Holy Cross, Worcester, MA, and organist of the Boston Symphony Orchestra performs Organ Fireworks, a showcase of Bach’s most famous organ works. Admission free. David Arcus is organist of Duke University Chapel, where he plays for nearly two hundred services a year and serves as accompanist for the Duke Chapel Choir. He is also organist of Duke Divinity School, where he has taught courses in church music and hymnody. 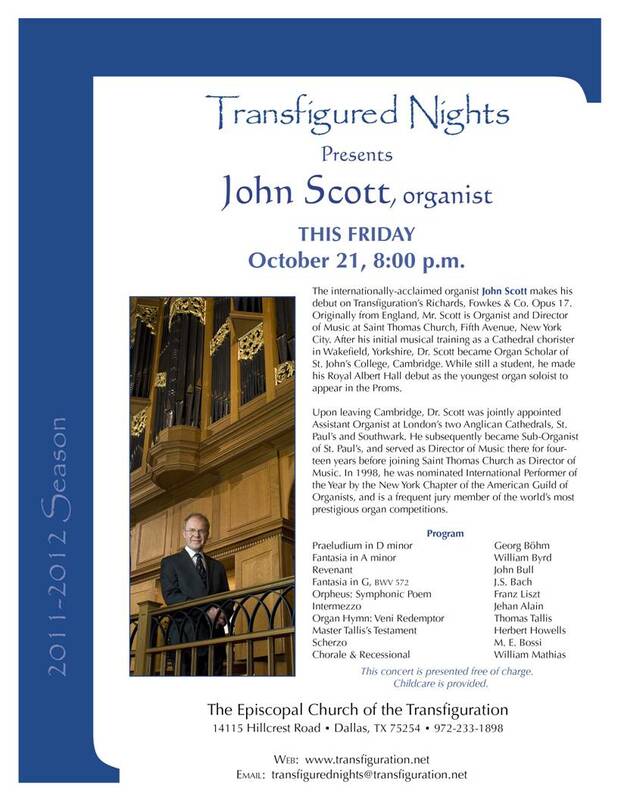 In August of 2009 he played the dedication concert on our Opus 16 for Goodson Chapel of the Divinity School. Michael Unger is a doctoral student at Eastman, and is also the instructor of the organ literature courses. His teachers have included David Higgs, William Porter, Ethel Briggs, Sandra Mangsen, Joel Speerstra and Larry Cortner. In 2008 Michael was awarded both First Prize and the Audience Prize in the 2008 AGO National Young Artists Competition in Organ Performance, and later that same year, he won First Prize in the Sixth International Organ Competition Musashino-Tokyo, Japan. 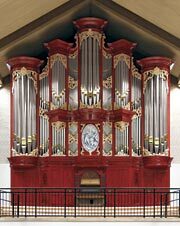 In 2009, he was awarded Second Prize and Audience Award in the Eighth International Schnitger Organ Competition on the historic organs of Alkmaar, the Netherlands, the first ever North American prize winner in the competition’s history. Michael performs frequently as a soloist and chamber musician on both organ and harpsichord, and is also a teacher and published composer. He currently works as the Visiting Director of Music at Rochester’s Lutheran Church of the Incarnate Word. Admission $35/25&10/5. Sharon Porter Shull, Minister of Music at Agnus Dei Lutheran Church, Gig Harbor, WA and a graduate of Oberlin Conservatory of Music with an Organ Performance degree, performs with her brother, David Porter, at The First Church of Deerfield in music of J.S. Bach, Frescobaldi, Haydn, Krebs, Langlais, Mendelssohn, Robbins, Scheidemann, Soler, and Viviani. A suggested donation of $10.00 includes a reception following the concert. Sietze de Vries plays a program of literature, improvisation and hymn singing on the 70 stop Brombaugh organ at Seventh Day Adventist Church in Collegedale, TN. Admission free. Tom Spacht, Professor of Organ (Emeritus), Towson University, Baltimore in a concert with vespers. Admission free. Sietze de Vries performs a concert of literature and improvisation at First Presbyterian Church in Rocky Mount, NC. He is active as a concert organist in the Netherlands, and has also presented concerts and master classes in Germany, Austria, Switzerland, Denmark, England, and the United States. He has won 15 national organ competitions and in 2002 captured the international improvisation prize. Joel Martinson, Director of Music Ministry & Organist at Episcopal Church of the Transfiguration, Dallas, in a concert with vespers. Admission free. Thomas Mueller, a native of Freudenstadt, (Black Forest), Germany is an organ builder, self-employed music teacher for keyboards, and is presently conductor and organist at St. Peter Church in Dettingen, and St. Martin Church in Horb Diessen. Mr. Mueller will be playing music of J.S. Bach, Mendelssohn, Mozart, Schroeder and Peters. The concert is at The First Church of Deerfield, Old Deerfield, MA, and is part of “The Brick Church” Music Series. Suggested donation is $10, a fundraiser for the church. A reception follows the concert program. Thomas Pousont, Organist and Director of Music at The First Church of Deerfield, is pursuing a Master of Music degree in organ performance at McGill University in Montréal, Québec. He is a frequent performer with many musical organizations in the area, and will be playing music of J.S. Bach, de Grigny, and other composers. The concert is at The First Church of Deerfield, Old Deerfield, MA, and is part of “The Brick Church” Music Series. Suggested donation is $10, a fundraiser for the church. A reception follows the concert program. Gail Archer is college organist at Vassar College and a member of the organ and history faculty at the Manhattan School of Music. She serves as director of the music program at Barnard College, Columbia University, and conducts the university choirs. Ms. Archer is artistic director of the artist and student organ series at historic Central Synagogue in New York City. Admission free. 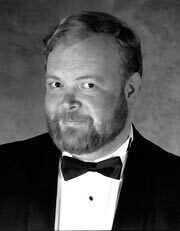 Boyd Jones, University Organist and John E. and Aleise Price Professor of Organ at Stetson University, DeLand, Florida at the University of Tennessee at Knoxville. Admission free. Robert Clark, Professor emeritus at ASU, AZ, in an Advent Hymn Festival with the many choirs of Westminster Presbyterian Church. Clark plays music of Buxtehude, Weckmann and Bach. This program is part of the 10th anniversary of the organ. Admission free. Andrus Madsen, organist, early music keyboardist, and conductor plays music of Pachelbel following the 7pm Advent worship service at the First Lutheran Church of Boston, MA. Admission free. Bálint Karosi is the First Prizewinner of the XVI International Johann Sebastian Bach Competition held in Leipzig, Germany. He will perform organ works by J. S. Bach including the winning competition pieces. 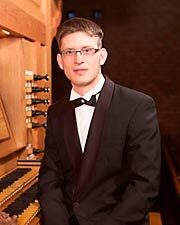 At the 7pm pre-concert talk Bálint will introduce the audience to the world of musical competitions and the organs he played in Germany. Admission free. Devon Howard, student of Judy Glass, Aart Bergwerff, Sietze de Vries, and Kimberly Marshall, and former employee of Richards, Fowkes & Co., peforms a graduate recital A Counterpoint in Time, an exploration of counterpoint as it developed in the hands of Buxtehude, Couperin, Bach & Brahms. Admission free. Brent Hylton takes you on a tour of new and unusual organ music. This performance features such gems as George Ackerley's 2004 award winning A Sweet for Mother Goose with narrator, and Emma Lou Diemer's Psalms for Percussion and Organ. Admission $25/35/5. Sietze de Vries plays an all-improvisation program for his return concert at the First Lutheran Church of Boston, MA. He will give a pre-concert talk at 7pm. Admission $25/20. 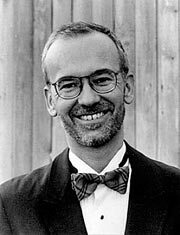 Sietze de Vries is active as a concert organist in the Netherlands, and has also presented concerts and master classes in Germany, Austria, Switzerland, Denmark, England, and the United States. 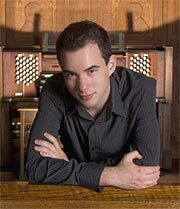 He has won 15 national organ competitions and in 2002 captured the international improvisation prize. Admission $25/35/5.